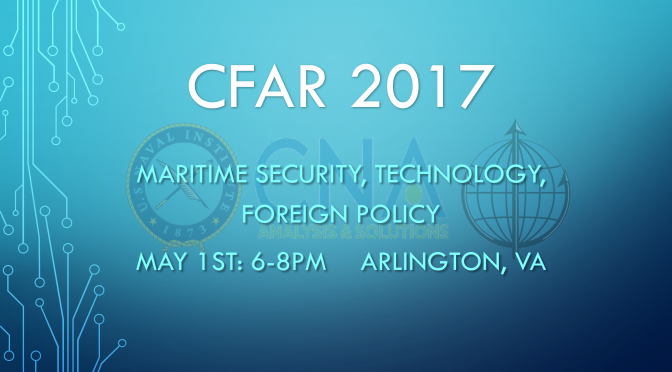 We want to know who YOU want to speak at the 3rd annual CIMSEC Forum for Authors and Readers (CFAR). Choose your favorite article or author from the last year, who has published an original piece on CIMSEC anytime on or after February 26th, 2016, and nominate them now! Thanks to the generous support of CNA and the U.S. Naval Institute, we’re pleased to once again offer a professional evening workshop on a range of maritime security issues. But we can’t do it without you. We need your help determining what authors and issues will be highlighted, so nominate today! Nominations close April 3rd. And don’t forget to RSVP to the event. How do you nominate articles?